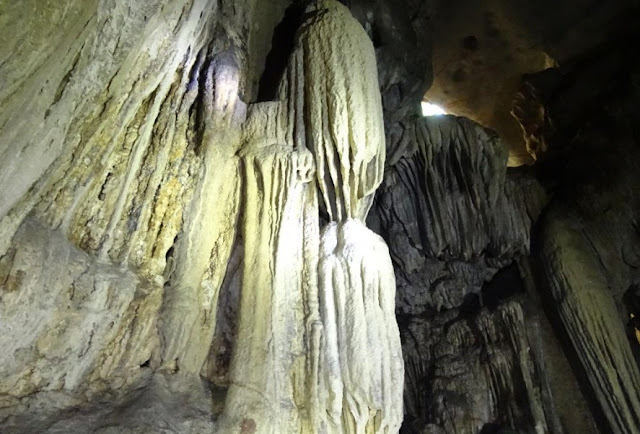 Calinawan Cave: History rich destination near Metro Manila! 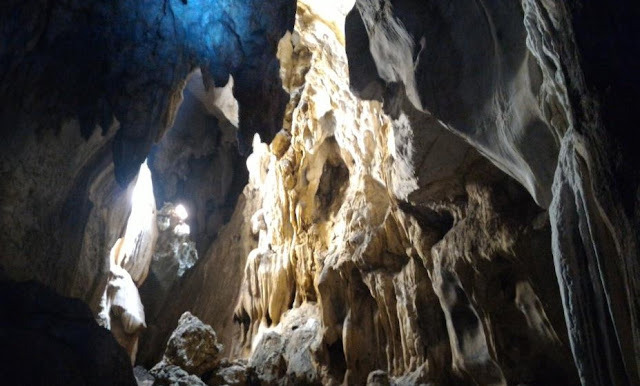 Calinawan cave is one of the most interesting, promising and history rich destination near Metro Manila. 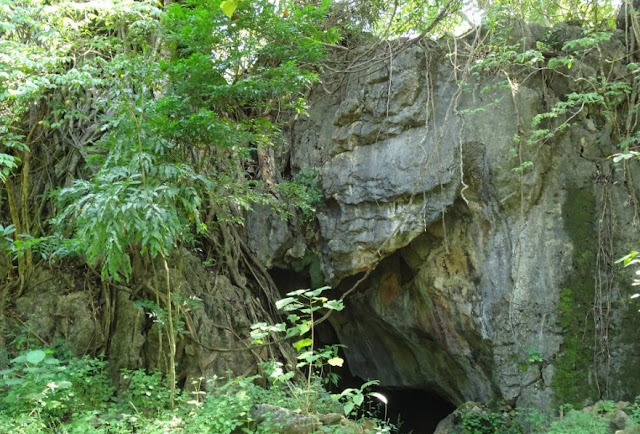 A serene place that situated at Rawang Hills, Brgy. 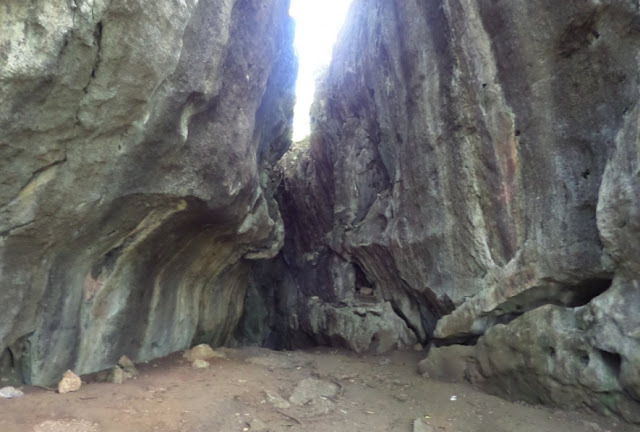 Tandang Kutyo, Tanay in the province of Rizal. 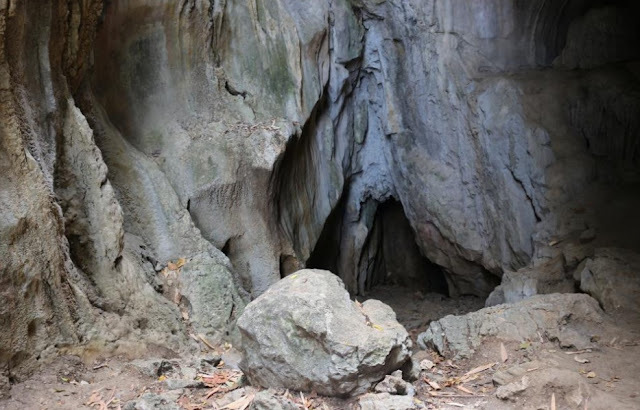 During the World War 2, the cave was served as the Guerrilla base for 'Marking's Fil-American Guerrillas when the Philippines fell to the hands of the Japanese from 1942 to 1945. 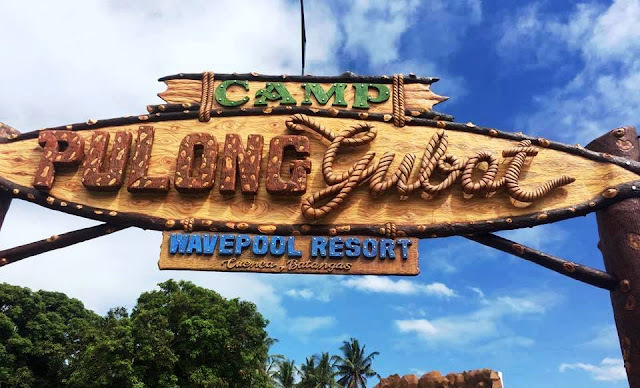 Today, it was vandalized by a local and foreign movie and television directors and producers. 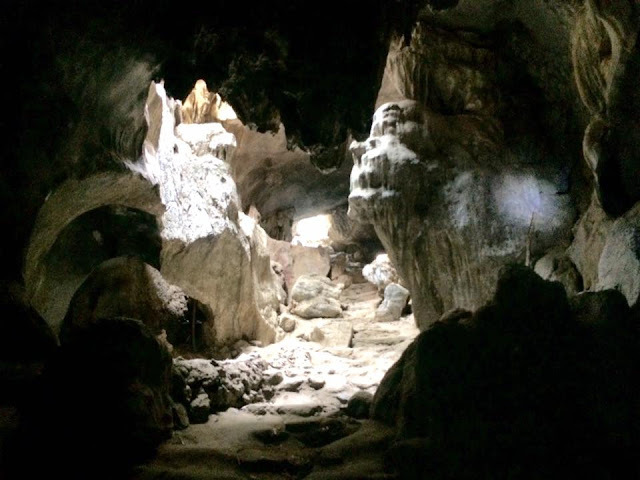 They filming scenes of fantasy shows and decorating the cave with some crystal effect resulting to the glitters on the cave walls left behind. 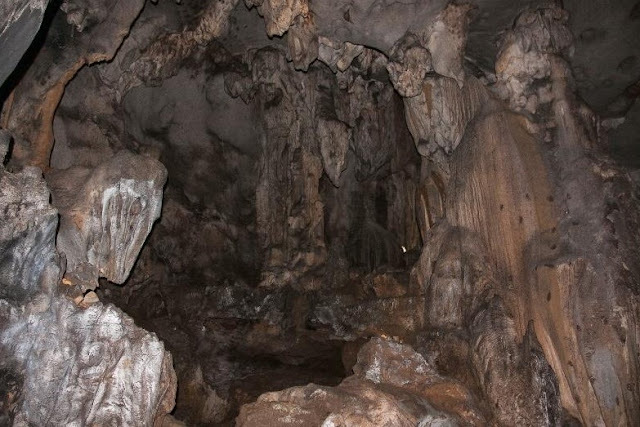 Exploring the entire cave will take half an hour or more. 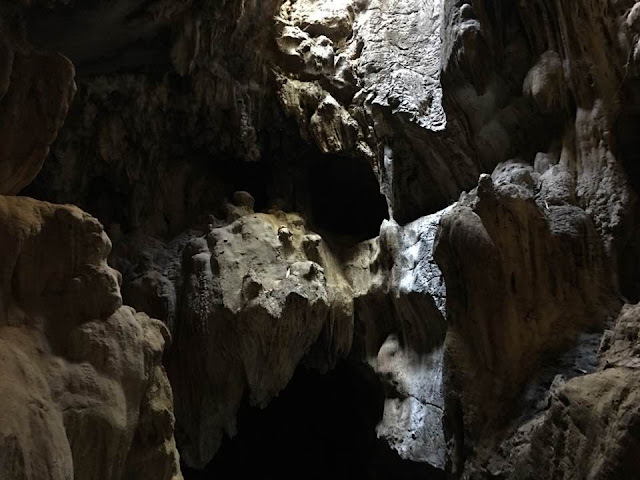 Passing through narrow passages and ducking for low ceilings with a dark claustrophobic corridor will surely make everyone's journey to Calinawan Cave more adventurous. 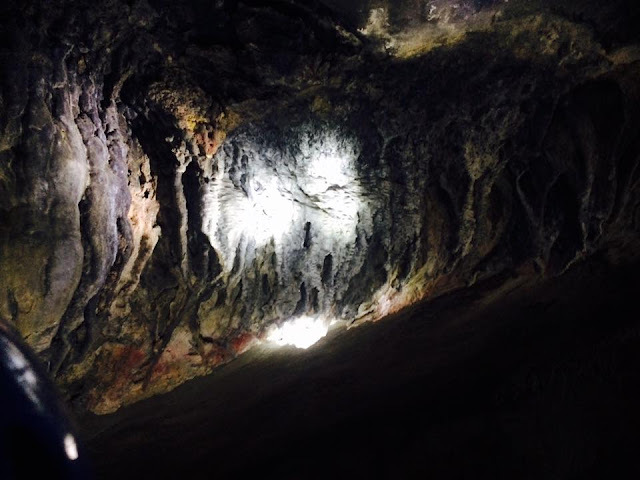 The temperature under the cave is cold, it feels like you are inside an air-conditioned room. 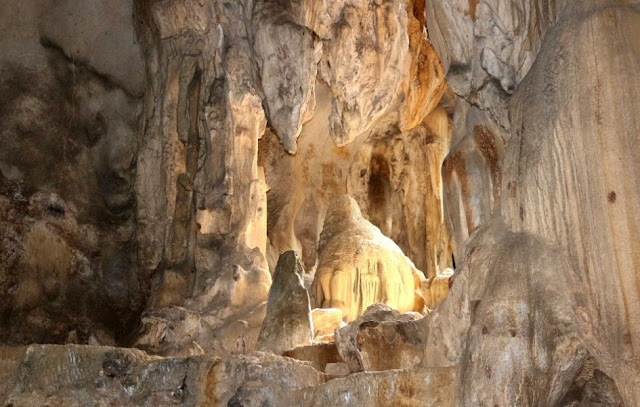 While roaming around the cave you'll get amazed with the formations of stalactites and stalagmites. 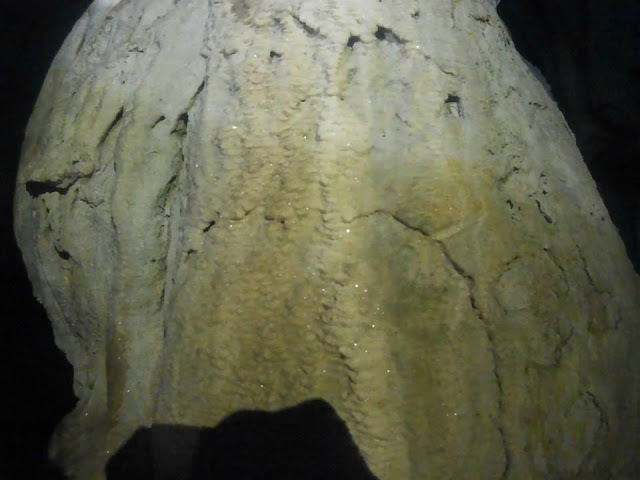 And the interesting fact was a dripping of stalactites will take a hundred years before it will form as stalagmites. 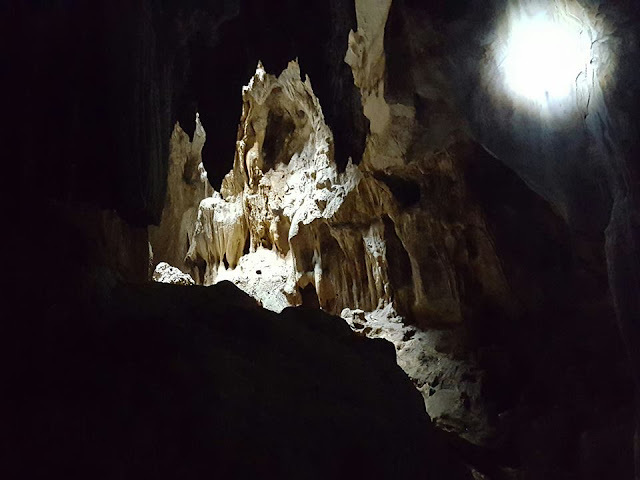 The adventure of being in the cave is very extreme and its very much recommended for thrill and fun seekers. 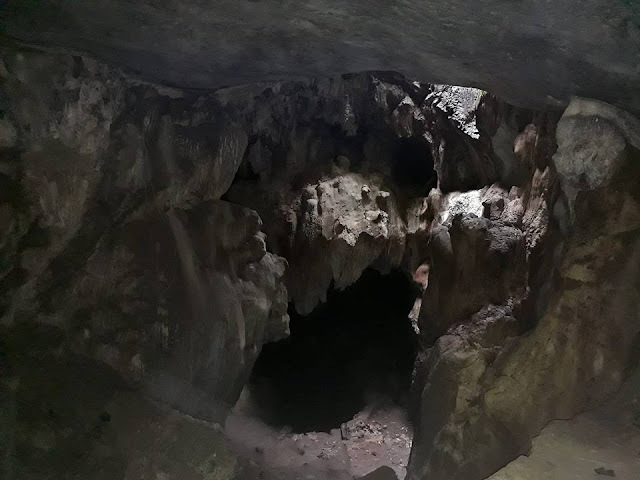 The tour guide said it used to be connected to Angono and Antipolo. 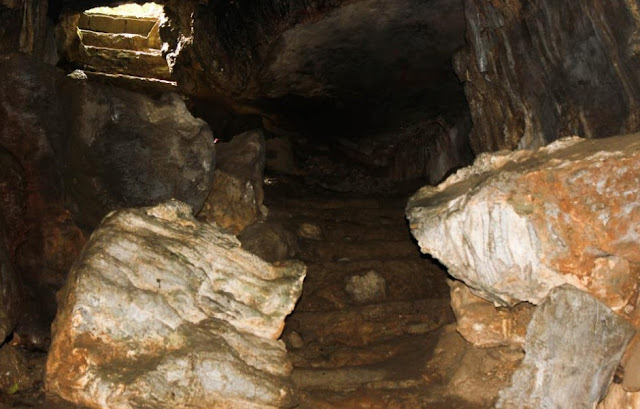 It serve as the subway system during the war. 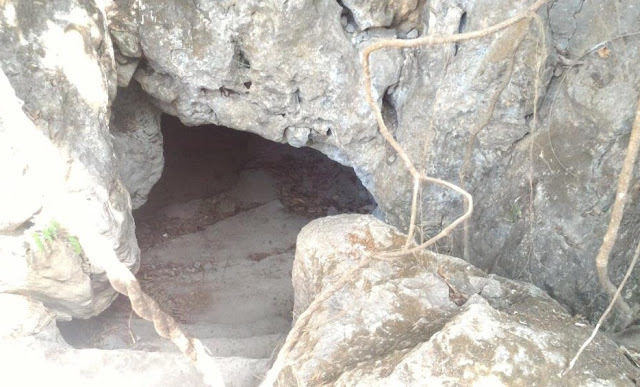 Rumors also said that there are buried treasures in the area, maybe the Yamashita Treasure! And is privately owned. Nearby, there are small store that sells some sandwiches, beverages and biscuits. 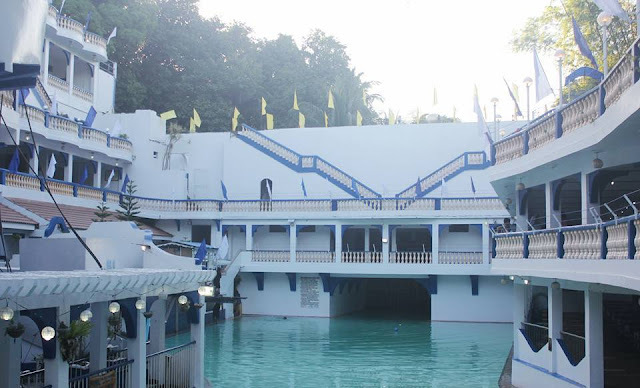 And while you in the area, do not forget to take a look and dip at Calinawan River! It posses a pristine water. 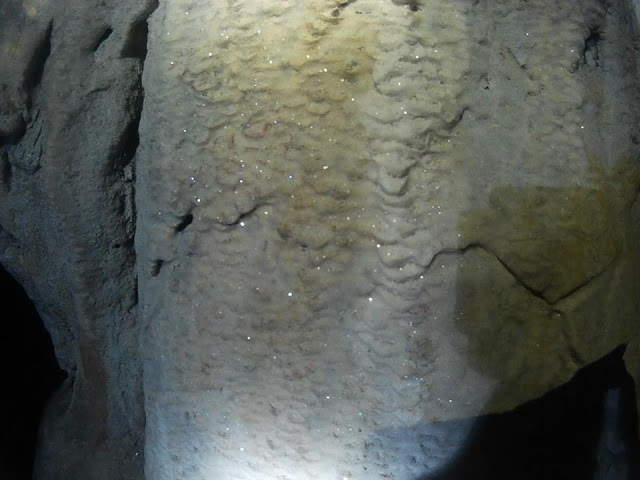 A photo of stalactites that been vandalized by movie and TV directors with glitters. 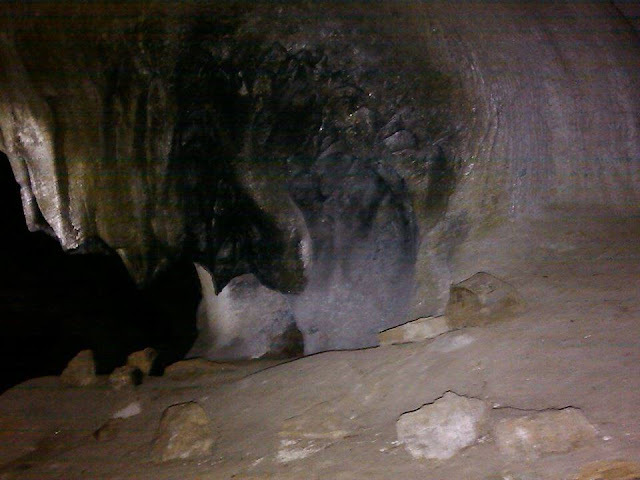 Inside the cave with sharp edge rock formation. 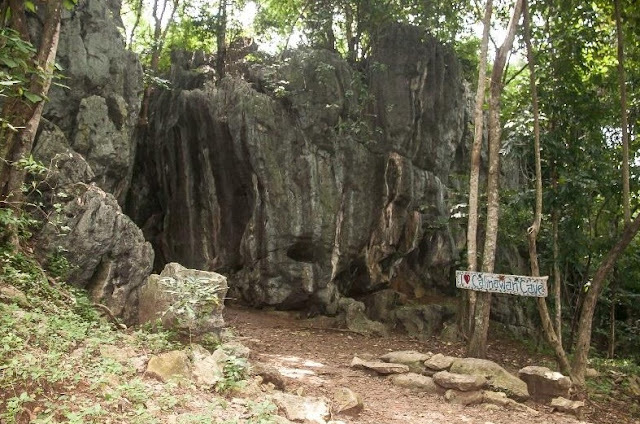 A photo of interesting rock formation near the cave opening. These crystals are un-natural, it is a result of fantasy shot on the area. The producers seems do not care about the natural beauty of the area. 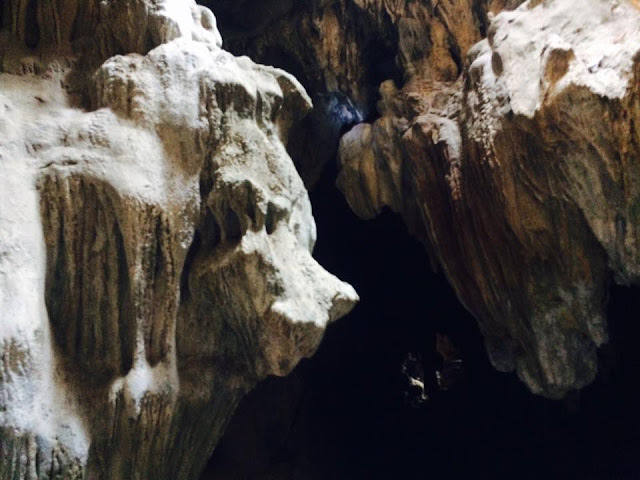 The frozen mist, a prof that inside the cave was so cold. 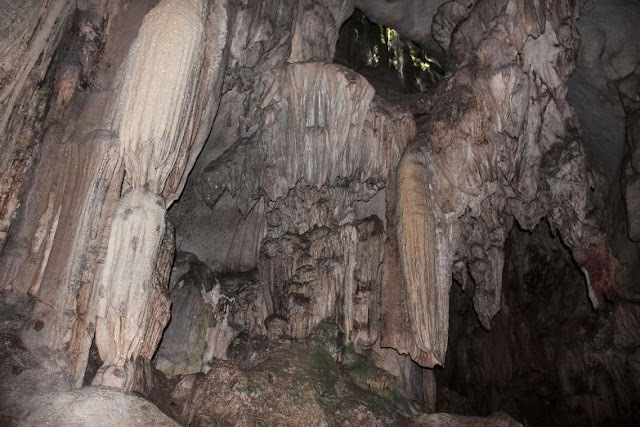 However, according to our tour guide, during rainy season inside, they experience a high humidity and it cause by the evaporating water on the lower layer. 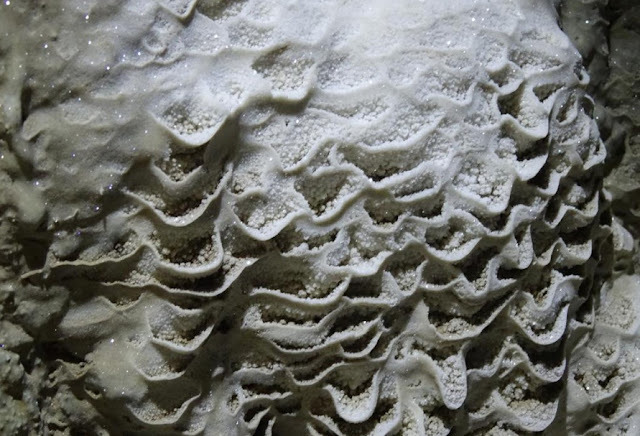 A beautiful photo of stalactites that form hundreds of years ago. 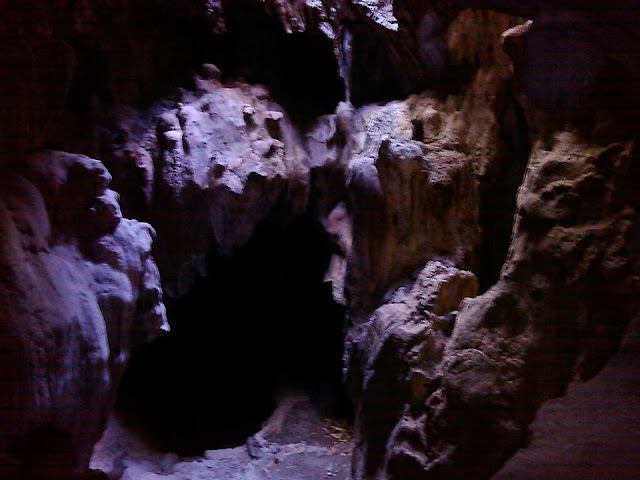 To the cave opening from inside out. 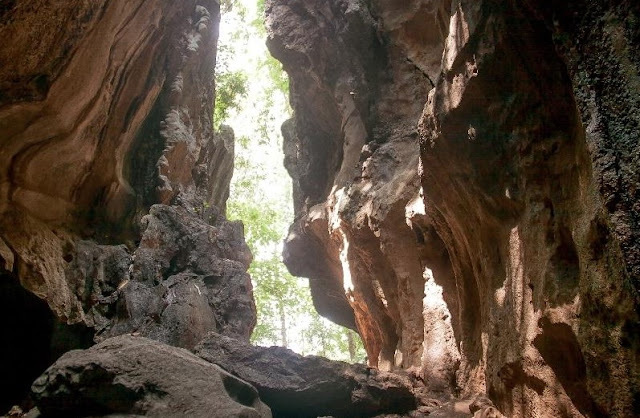 Cave opening from the outside. 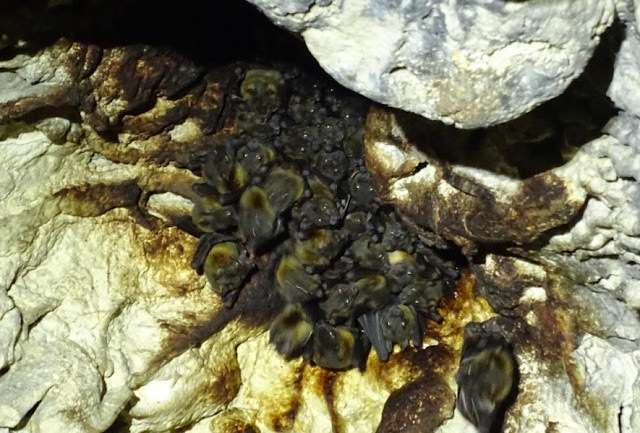 A photo of a bat resting on the cave ceiling near stalactites. They make a spooky noise when you pass by. And a strong smell of urine on the bats place. 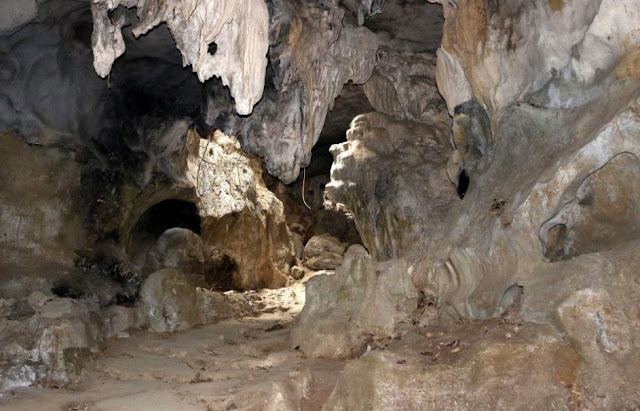 How to get on Calinawan Cave? From EDSA Shaw Starmall take a van going to Tanay. Drop off Point Tanay Market. From Tanay Public Market, travel by tricycle going to Calinawan Cave. While for private transport vehicle, for the direction, put your GPS on work and follow the blue trail on your screen. 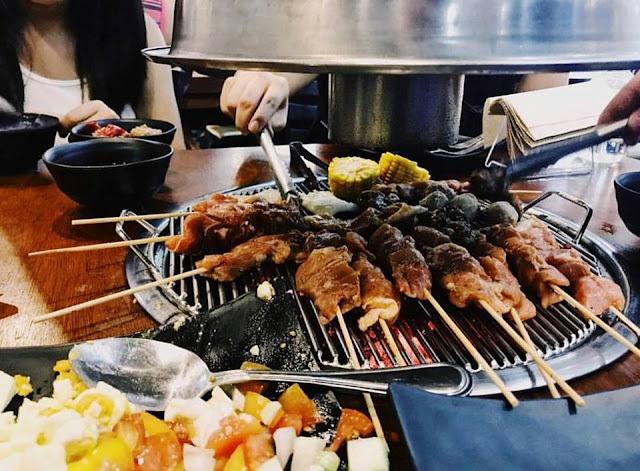 Use Google map and you never lost. 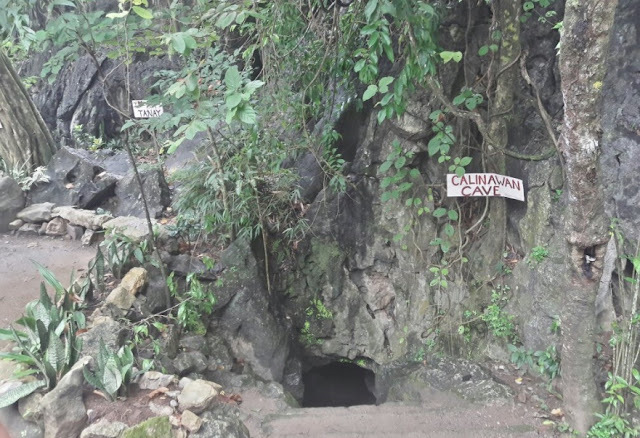 Calinawan cave is located at Rawang Hills, Brgy. 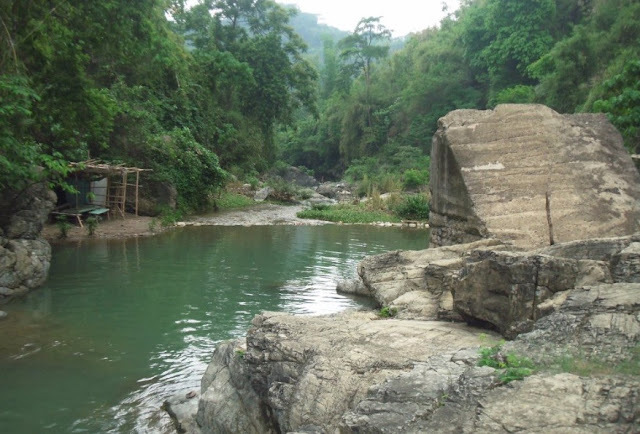 Tandang Kutyo, Tanay in the province of Rizal. Hi, sorry I missed that details. Thank you!